When I was a kid, our family spent many Christmases in Sun Valley and not surprisingly I have nothing but fond memories, so it’s no wonder I moved to Sun Valley the day I graduated from college, Dec. 20, 1980! 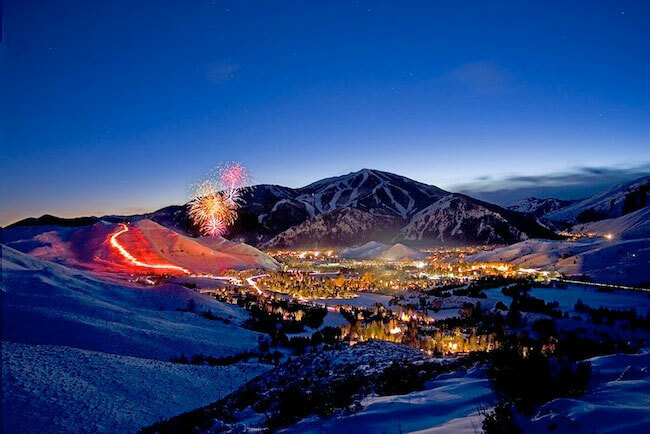 Here’s a few Sun Valley traditions to ensure you have a fantastic holiday season. We all know the story of how Warren Miller began his ski film career in 1946 when he camped out of a teardrop trailer in the River Run parking lot. Can you imagine such an endeavor before Gore-tex and fleece? Before powder skis and the iPhone camera? This years film is a tribute to Warren Miller’s long and storied life as the iconic ski cinematographer of almost five decades. Warren died last January but his legend lives on. For more about his distinctive life, click here. If you miss “Face of Winter” on the 7th, try again at the Sun Valley Opera House on December 14, 18, 21, and 28. For More, visit SunValley.Com. 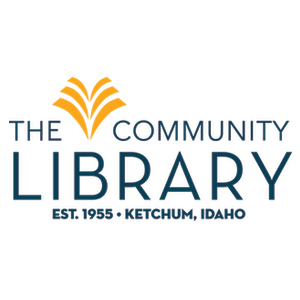 On Thursday, December 13 and 21, 2018 at 3:30 at the Sunroom of the Sun Valley Lodge, the Community Library will be sharing festive holiday stories and all kids will receive a holiday treat bag when they leave. For More. 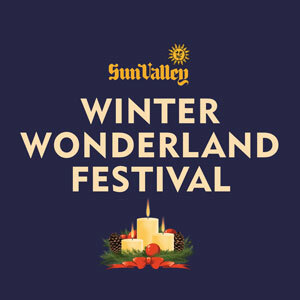 Christmas in Sun Valley and the Winter Wonderland Festival has an event for everyone. Apres Ski Live Music with Red Light Challenge at the River Run Lodge – December 25th. Merry Sun Valley Christmas! A star-studded Ketchum event to celebrate our one-year anniversary as the Nation’s first International Dark Sky Reserve! Start with two planetarium shows in the Council meeting room at City Hall; 3:30 and 4:30. To sign up email participate@ketchumidaho.org. Space is limited! Meet our astronomers in Town Square at 5pm with intros from the Mayor. Kirk Long and Greg Harman, astronomers working with Bruneau Dunes State Park Observatory, will speak and operate telescopes for local gazers. 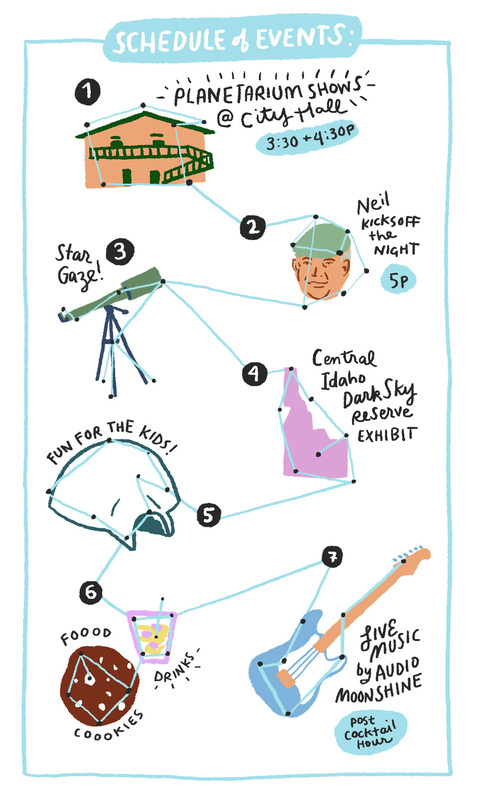 Know your stuff with an exhibit on the Central Idaho Dark Sky Reserve. Entertain the space cadets with kids activities at the igloo and maze! Celestial snacks from the City include free coffee, hot chocolate, cookies, cider and food from KBs, while supplies last. Warfield special drinks available for purchase. Rock beyond the stratosphere with music by Audio Moonshine,who will start playing after cocktail hour. The ice show will highlight modern renditions of classic holiday music. “Skating in a Winter Wonderland” will feature performances by Frank Sweiding and Anita Hartshorn, Ashley Clarke, and other professional skaters. Group numbers will be performed by the Sun Valley Figure Skating Club and visiting holiday guests. The traditional appearances by the Sun Valley Carolers and Santa Claus are on the schedule, followed by the Dollar torchlight parade and fireworks. Ice show seating available in the bleachers (some will be reserved for hotel guests and visitors who are less mobile) and on the Lodge Terrace. Stick around for the Dollar Torchlight Parade that will immediately follow the Ice Show. Free hot cocoa & cookies will be served. 5:30 pm | Carolers and “Skating in a Winter Wonderland” ice show, followed by the torchlight parade down Dollar Mountain, fireworks, and a visit by Santa! Hit the slopes to and enjoy some night turns, music under the stars and fireworks. Admission includes skiing and riding on Quarter Dollar, face painting, New Year’s Eve party hat decorating, photo booth, bouncy twister and so much more! 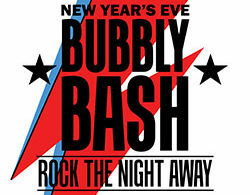 Ring in the new year with family fun and festivities. FOR THE ENTIRE SUN VALLEY CHRISTMAS SCHEDULE OF EVENTS, VISIT SUNVALLEY.COM.